Where do read books go? A stack of books rises to the roof at Blossoms Book House in Bangalore. 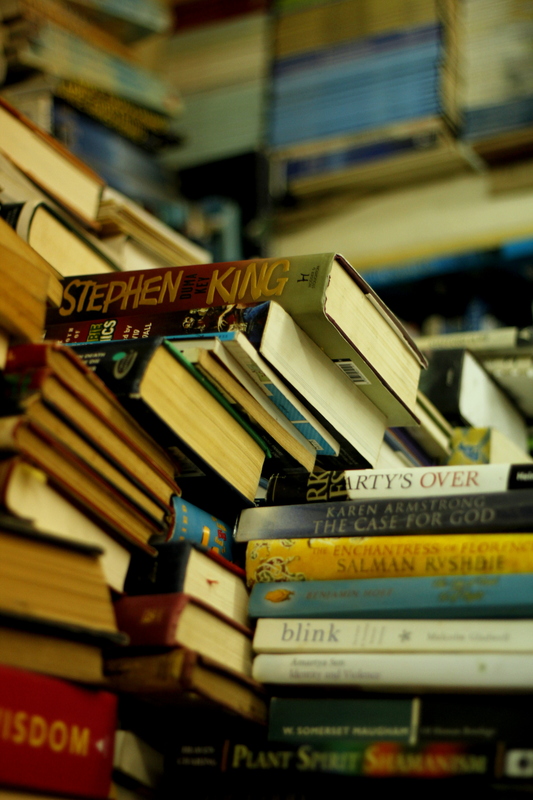 A whole range of used and new books make this a wonderful place to get lost in. Glad you liked the composition Inga 🙂 It took a little patience in the crowded bookshop. Happy to hear you liked the pic Lynn! great use of dof, fantastic!